Nigerian on-demand e-delivery startup Metro Africa Express – MAX – had been named runner-up at London’s startup competition Startup Battlefield. The Startup Battlefield took place this week in London at the TechCrunch London conference, and saw 15 startups from Europe as well as international markets present their businesses to a panel of industry experts for the chance to take home the Disrupt Cup, and GP£30,000. Four finalists were then selected to pitch head-to-head in front of the panel of judges; with three of this year’s finalists hailing from the UK, and one from Nigeria. London-based artificial intelligence music composition technology Jukedeck was crowned winner of the competition. 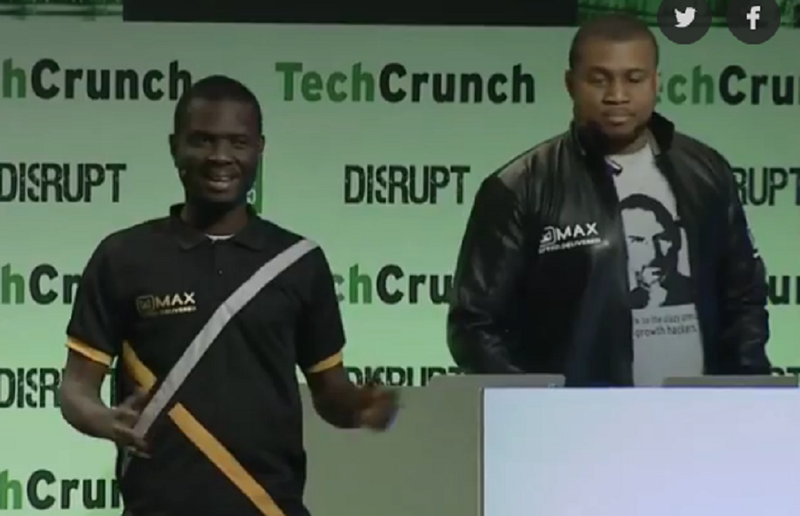 Nigeria’s on-demand delivery startup MAX was named the runner-up. MAX is an on-demand delivery service currently operating in Lagos. Customers request to have their package delivered online; and the startup guarantees delivery within three hours or five hours of the order being placed depending on the customer’s delivery choice. Delivery is executed by the startup’s team of motorbike-riding “MAX Champions”. The judging panel at Startup Battlefield comprised Eileen Burbidge, partner at Passion Capital; Suranga Chandratillake, general partner at Balderton Capital; Alex Depledge, founder of Hassle; Fred Destin, general partner at Accel Partners; Cristina Fonseca, founder of Talkdesk; and Matthew Panzarino, editor-in-chief of TechCrunch.